At a meeting in Geneva, the five permanent members of the UN Security Council plus Germany (known as the P5+1) have reached a deal with Iran according to which the Islamic Republic will halt enrichment of uranium above 5 percent purity and dispose of its stockpile of 20-percent-enriched uranium by diluting it to less than 5 percent. In addition, the country’s nuclear facilities in Fordo and Natanz will come under IAEA control, while the construction of a heavy-water reactor at Arak, capable of producing plutonium, will be halted. In return, the P5+1 group, or – to be more precise – the United States and the EU, have agreed to ease some of the sanctions against Iran. This will allow Iran to resume limited trade relations with the United States in the oil and gas, petrochemical and automotive sectors as well as trading in gold and precious metals. The resulting benefit for Iran will amount to $5-7 billion. However, this deal is not just about the money. 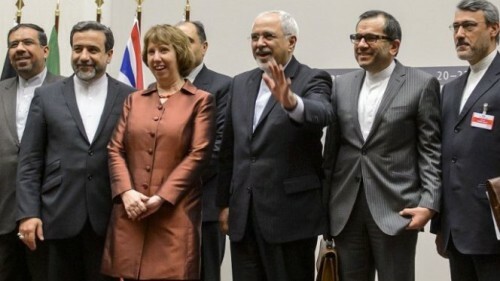 The P5+1 group tabled their demand that Iran shut down and dismantle its already operating centrifuges. This and other provisions of the deal allowed Iran to claim that its key demand – a recognition of its right to enrich uranium – had been met. Russian Foreign Minister Sergei Lavrov offered the following clear summary of the essence of the compromise: "This deal means that we agree that it is necessary to recognize Iran's right to peaceful atoms, including the right to enrichment, provided that the questions that remain to the Iranian nuclear program and the program itself come under strict control of the IAEA. This is the final goal, but it has already been set in today's document." The opponents of the deal insist that Iran has thus retained the potential to create a nuclear weapon. The whole of its uranium enrichment infrastructure remains intact. Many experts have already pointed out that such a large nuclear infrastructure as Iran’s, which consists of some 17,000 enrichment centrifuges, is needed if a country has 12-15 operating nuclear plants that have to be supplied with fuel rods. However, so far Iran has only one nuclear power plant, in Bushehr, which receives its fuel from Russia. The Iranians have a hard time trying to explain why they need so many centrifuges, but they are ready for any form of control, including video cameras, meters and snap inspections. The willingness of the United States to agree to the deal also requires some explanation. Why has the country’s attitude to the Iranian nuclear program undergone such a sudden change? Why were American diplomats engaged in secret talks with Iran for nearly a year? After more than 30 years of hostility, why has Washington has decided to relent on some of its demands? Granted, Mahmoud Ahmadinejad has been replaced by Hassan Rouhani, but the president of Iran is in effect no more than the head of government. All matters of principle are decided by Ayatollah Khamenei, Iran's spiritual and supreme leader – and there, nothing has changed. The answer may have more to do with American domestic politics than Iran itself. In the early 1970s, the United States suffered a devastating defeat in Vietnam. Then the Watergate scandal forced President Richard Nixon to resign under threat of impeachment. It was at that moment, putting all sentiments aside, that the United States resorted to an unprecedented rapprochement in relations with the Communist China. Today, the U.S. is coping with failures in Iraq and Afghanistan, the challenges of the Arab Spring, and allies that would like to drag the United States into military operations in Libya and Syria – the goals of which would be difficult to communicate to ordinary Americans. The time may be right for the U.S. to engage with Iran, which is ready to fight for leadership in the Middle East with the oil monarchies of the Gulf. Such a move could restore the balance of power in the Middle East to the situation that existed prior to the 1979 revolution when Iran served as a counterbalance to Saudi Arabia.